Posted: Friday, August 17, 2018. 10:29 am CST. 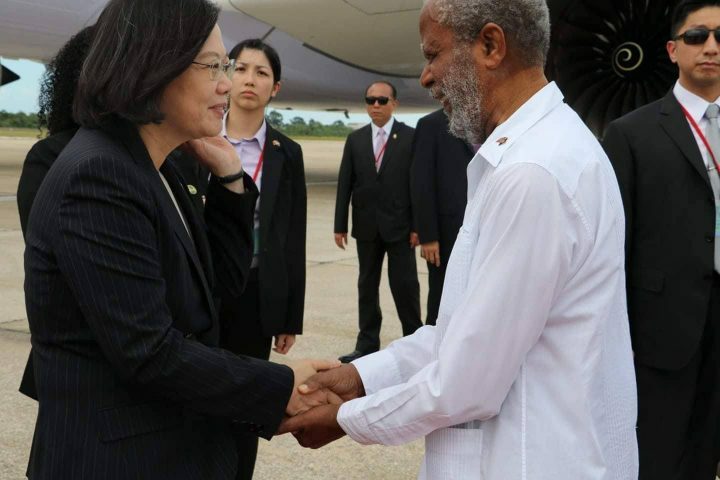 By BBN Staff: President of the Republic of China (ROC) Taiwan, Tsai Ying-wen, has made her first official state visit to Belize. On Thursday a ceremony was held at the Museum of Belize in Belize City in which she was decorated with the Order of Belize. The Order of Belize is the second highest honor awarded to foreigners by the Government of Belize. According to President Ying-wen, the award is a symbol of the firm relations between the two countries and a recognition of the development of their partnership. She informed that for the last three decades Belize and Taiwan have maintained close cooperation in infrastructure, agriculture, public health, culture, education, and telecommunications. She hopes that the relationship will only continue to grow as it is built on a solid foundation. President Ying-wen’s visit to the country is also strategic. It is to reaffirm its diplomatic ties with Belize. As allies of Taiwan continue to shift their support to China, it can be said that Belize remains unwavering. A statement issued by the Taiwanese Embassy in Belize confirmed that the trip would reaffirm the strength of the country’s relationship with Belize since October 1989. “Taiwan is Belize’s loyal and trustworthy ally,” the statement continued. According to Minister of Foreign Affairs, Wilfred Elrington, Belize has benefited from hundreds of millions of Belize dollars from Taiwan in the form of scholarships, agricultural aid, and healthcare. We note that just earlier this month the President met with 29 Belizeans who were gifted scholarships to study in Taiwan. To date, more than 200 Belizeans have graduated from Taiwan universities.